Blueberries are sweet and juicy fruit with a delicious taste. 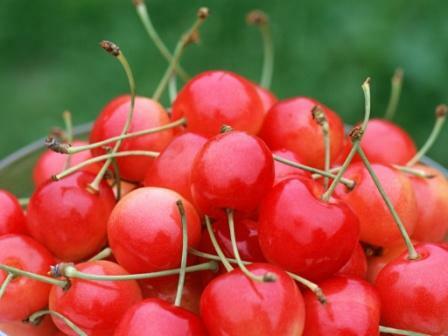 It contains proanthocyanin natural antioxidants and it is known as antioxidant super fruit. It contains phytonutrients which has antioxidants in it and blueberries nutritional benefits are really amazing. There are two types of blueberry trees: high bush blueberries and low bush blueberries. These trees are raised in sandy and acidic type soil. The fresh blueberries look firm, plump with a smooth skin and you can eat it after washing it with cold water. The continence of antioxidant like proanthocyanidins, resveratrol, flavonols and tannins help to prevent growth of cancer cells. It protects from colon cancer, liver cancer and ovarian cancer. Different compounds like Vitamin C, copper and phenolic substances fight against the cancer causing elements and stops the growth of cancer cells. Blueberries have blue pigments which contain anthocyanins which is a good antioxidant for preventing cancer. With increasing age brain power also decreases which causes short term memory loss and other symptoms like this. Blueberries containing antioxidants are helpful in curing these types of diseases and help in motor skills. It was first examined in animals and a positive result was found which showed the increase in motor skills and learning. As we know antioxidants are the cure against anti-aging. 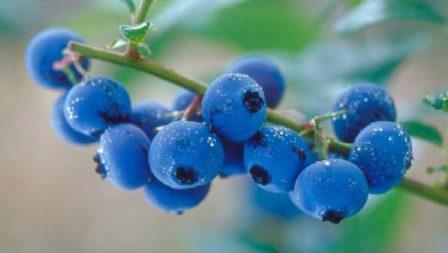 Blueberries are rich in antioxidants which slows down the aging effect on your skin. These antioxidants stops cells from damaging and prevent inflammation which is the main cause of anti-aging. This nutritional benefit of blueberries is used by cosmetic companies for making beauty products. The high amounts of fiber contents and antioxidants have many benefits like preventing heart stroke. The increase in bad cholesterol causes heart disease by developing the arteriosclerosis level in blood which is the plaque buildup in artery. So the contents in blueberries dissolve the bad cholesterol percentage in blood keeping your heart healthy. If you eat blueberries on a daily basis, it will decrease the fat percentage in your belly and will also reduce the liver mass. It has good amount of glucose and insulin which gives a healthy metabolism. Blueberries contain Vitamin C and fiber with 84 calories of energy which is sufficient for body’s daily intake percentage of Vitamin C.
It is a low calorie fruit which is more nutritious, giving you zero fat and a good meal with fiber intake. One of the main nutrition fact of blueberry is that it contains minerals like potassium, manganese, copper, and iron and zinc controls blood pressure level. Copper produces the blood cells and iron inside it produces red blood cells. The antioxidants present in blueberries show antibacterial and antiviral properties. Blueberries contain some vital nutrients like Vitamin A, B complex, C, and E along with iron, selenium, copper and zinc which are helpful in protection against cold, infection and viruses that cause cancer. Blueberries help in keeping your eye healthy, it prevents the eye problems like cataracts and other eye problems with growing age. Anthocyanosides present in blueberry protects against vision loss. It fights against eye strain and keeps the eye retina healthy.